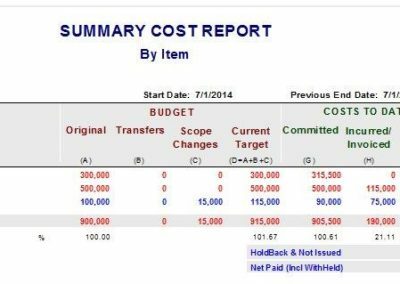 OnTrack Project Manager records by account the dollar-value cost and schedule information of capital projects, conforming to the ANSI 748 standard. The project team can view the cost and schedule performance of each account (CPI and SPI) and can forecast the cost and schedule at completion for each account and for the total project. OnTrack offers fully integrated functionality for cash flow and real portfolio reporting that is unique within the industry. It works in conjunction with other OnTrack modules. 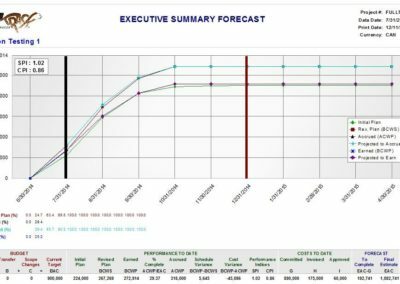 OnTrack Project Manager gets the raw data, initially from the estimate and preliminary level 1 schedule. This creates the cost reports using eight concurrent and independent coding structures as well as the cash flow. Procurement follows by commitments and agreed schedule with the suppliers and contractors, thus providing commitments to date and a revised schedule. Then the receiving module provides the accruals for material and contractor’s progress, issues approved and agreed billing certificates, provides the earned value achieved to date, updates the cash flow progress and provides, based on a set lag time, the future cash outflow, while updating the cost report’s accrual column. 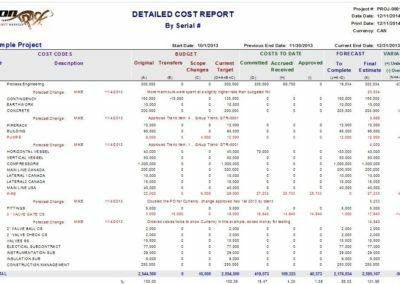 When the user’s finance department processes and approves invoices in OnTrack, the cost report invoiced column is updated, in turn updating the paid-to-date column, while the planned cash outflow is updated to actual. 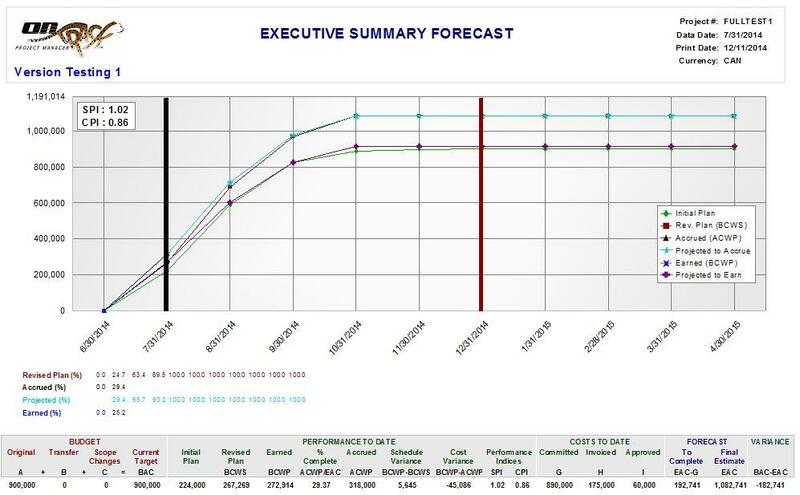 The cost controller reviews on his screen all that data by each account and by PO or contract deliverable items, checks and investigates what remains uncommitted, adds this amount and records a transaction comment about any created variance or the reduction amount of the contingency and escalation, and if required adjusts the remaining cash outflow curve. Using earned value methodology, OnTrack differentiates between labour that is affected by productivity, and equipment and material simply affected by the cost forecast variance. Transfers, trends and changes are also processed and approved using a form created for approval, with approval data applied to each account. Using different algorithms, OnTrackPM automatically distinguishes between cost-plus contracts and lump-sum contracts. 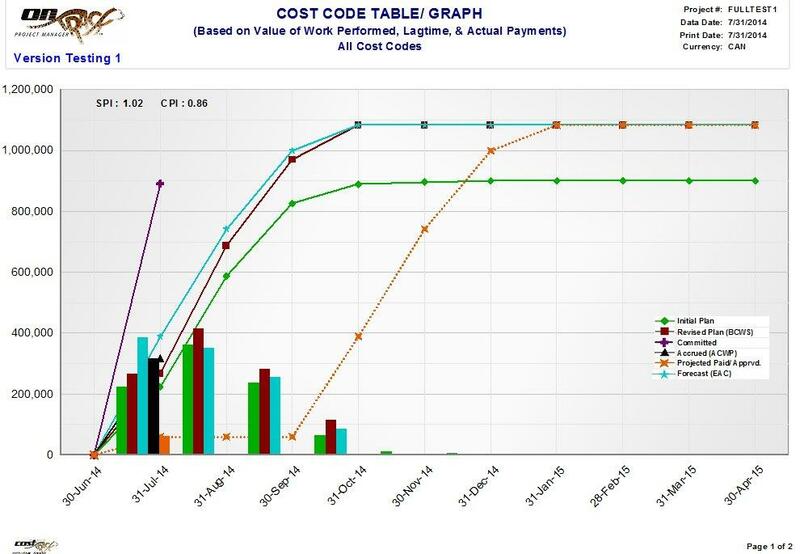 Cost-plus contracts have a composite CPI with forecasting affected by productivity and rates variation. Lump-sum contracts’ CPI depends only on the difference between the budget and the forecast. Spent man-hours are compared to those earned, to aid in controlling the schedule and manpower levels. 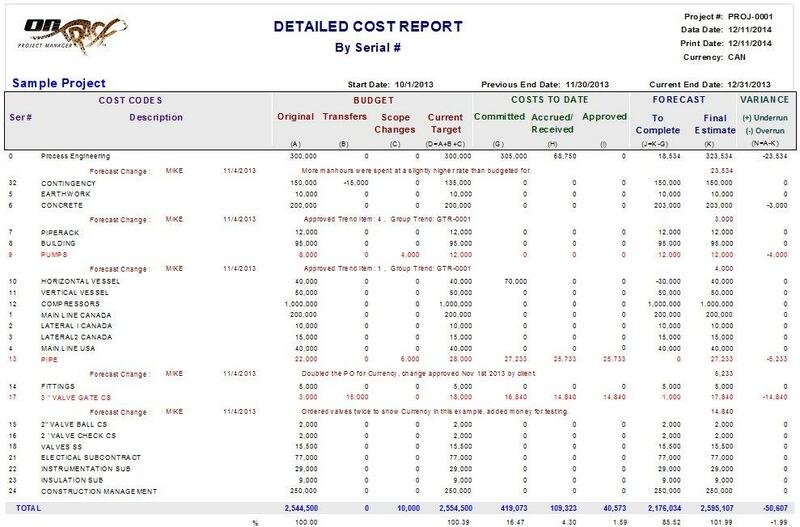 Completing all these steps, the module can generate cost reports. It uses the standard reports provided, using a combination of the 10 coding structures, or by creating a simple filtering section and naming and saving them for future use. 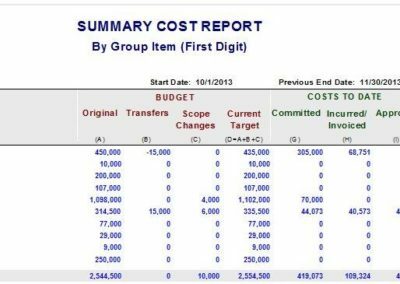 Cost reporting includes other useful reports such as coded budget report, trends, changes and forecast changes, commitments, detailed reports with comments on all changes, including POs by account. 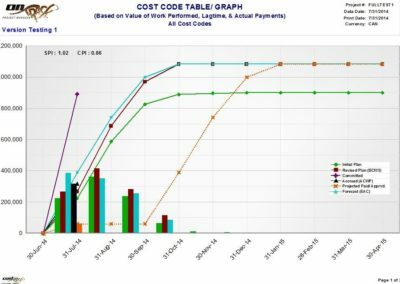 Most important of all is the earned value cost report, which includes all the standard cost data plus the earned value data, which is also expressed in currency. The central benefit of OnTrackPM cost control is that it places accurate data in the hands of the project manager in real-time. Numerous benefits are derived from this: reduced time-lag for reporting and forecasting, yielding greater accuracy, and greater overall project execution efficiency. In addition, learning new coding for each project is not required… simply duplicate an existing project and then execute to that same coding structure or tweak as needed. Schedule integration with Primavera, MS Project, etc.